Upcoming course: Fast and Fabulous Easy Meals with Rachel Allen. Home / Upcoming course: Fast and Fabulous Easy Meals with Rachel Allen. Fast and Fabulous Easy Meals NEW 2.5 day course with Rachel Allen. 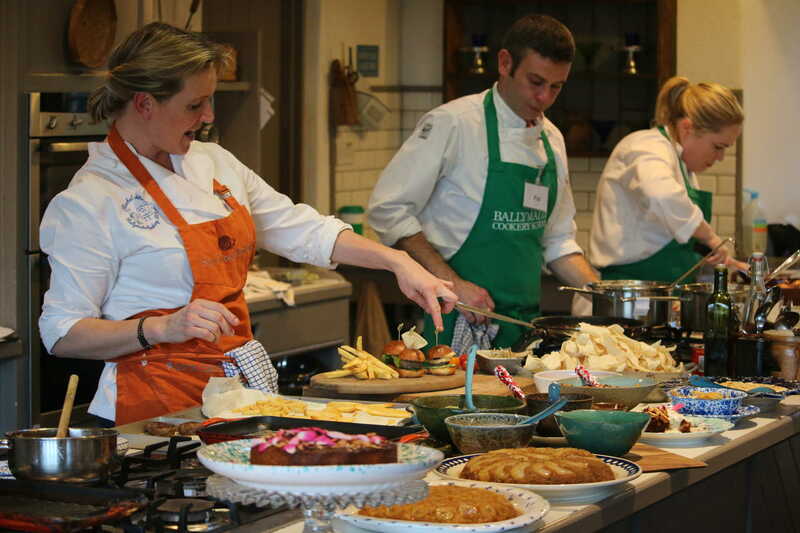 The course comprises of three cookery demonstrations given by Rachel Allen on Monday and Tuesday, and two practical cooking sessions on Tuesday and Wednesday morning. Students will choose what they would like to cook from the variety of dishes demonstrated. We have four practical kitchens and have one teacher for every six students —our teachers are there to encourage, support and ensure everyone has fun. The course will include many favourites from the TV programme and book.